Whether or not Trump has a relationship with Jesus is certainly not for me to determine. I trust the Lord’s sovereignty over saving souls and hope that Donald Trump is among those who are saved. However, I don’t trust much of what Donald Trump says. I believe that Trump is really good at sounding like the person he thinks voting Christians want him to be. And I believe that his comments about faith demonstrate how little he actually knows about having a relationship with Christ. If Donald Trump is elected as our next President, he is highly unlikely to submit to the authority of the Constitution. Of course, we have become somewhat accustomed to President’s acting outside of their authority, so it wouldn’t be all that new. It is nonetheless troubling that Trump doesn’t seem to be concerned with the separation of powers that is essential to our form of government. I don’t believe that he would submit to God’s authority either. Based on Trump’s own words and actions, there is very little evidence to suggest that Jesus is Lord over his life. That isn’t to suggest that I know the inner workings of Trump’s relationship with Christ. It is to suggest that Trump’s dependence on God doesn’t appear evident based on what I know. However, there are candidates who have been given less attention, yet have demonstrated Christ’s lordship over their lives. Trump is all about Trump! It seems to me that he has a thirst for power. Speaking about himself Trump once said, “Love him or hate him, Trump is a man who is certain about what he wants and sets out to get it, no holds barred. Women find his power almost as much of a turn-on as his money.” He has the makings of a king and that is not a good thing. Many Republicans are captivated by Trump’s polarizing statements. There is no doubt that Trump tows the conservative line about the 2nd Amendment, immigration reform, and other hot button issues. He appeals to a large conservative audience by speaking defiantly to those who support the status quo. He leaves many with the impression that he is not like the lifetime politicians that make up a good portion of Congress. Trump doesn’t have any experience in Congress or as a Governor, which means we know very little about whether or not his actions will follow his words regarding the policies he wants to enforce, since he doesn’t have a voting record. It also brings into question whether or not he is actually prepared to handle the presidency. Trump isn’t immune to dishonesty and crooked behavior just because he doesn’t have experience as an elected official. I would imagine he was exposed to plenty of lies and crooked behaviors on his way to the top of the financial world. After thinking all of this through, I have come to a conclusion that will be unpopular with Trump supporters. Trump represents the essence of the status quo. Over his political career (which consists of running for office), he has flip-flopped on issues, such as the 2nd Amendment, abortion, healthcare and the drug war. He is a master of the art of political opportunism. He lacks humility and he often seems to care more about himself than anyone else. When push comes to shove, Trump has frequently demonstrated that he is most concerned about his own pocketbook or personal gain. I don’t believe that he is concerned enough about liberty and that is the one of the main reasons why I will not support him. Living in guilt can be devastating to the life God wants us to live. I remember being a young boy and not having anything to really be concerned with or worry about. Until one day, when I left the back gate open on accident and unknowingly let our girl dog out of the backyard. My family lived near a busy highway and our girl dog was a runner, so by the time my mom and I were able to track her down, it was too late. I felt so much guilt for leaving the back gate open, which ultimately led to losing one of our dogs. That guilt weighed on me for years and actually changed me in ways that I wasn’t prepared for. As I went through adolescence, I struggled with fear and worry. As a result I made some really bad decisions in my teenage years. I was caught up in sin due to a combination of things, such as selfishness and doubt. Our own sin can certainly lead to guilty feelings, but so can other people’s sins, or even any accidents that may happen. We should live in the present, trusting God for our future and thanking God for the lessons of our past. Romans 8:1 declares, “Therefore there is now no condemnation for those who are in Christ Jesus.” One bad decision can hurt, but it doesn’t have to destroy us. Guilt can often lead us down a dangerous path, when instead of having God’s peace, we try to handle our guilt all alone. Our confidence in Christ’s power to heal us can be so much greater than any feelings of condemnation, if we seek Him. Whatever the reason for guilt, just let it go. Now that Jesus is in your life, there is no more condemnation. Stop living in the past and start living in the present. Stop worrying and start praying. Take your concerns to God and ask Him for guidance. Go to His word and seek His truth. Start living your life in a constant state of forgiveness and repentance. Forgive others and ask for their forgiveness. Ask for God’s forgiveness for your sins and allow His grace to change you into who He wants you to be. Start doing the work that He has for you without . Our knowledge and understanding of history can help shape our future. In celebration of those who have served our nation past and present, it is important to remember lessons from some of our nation’s military leaders of the past. One of the most memorable generals of our nation’s history is Thomas “Stonewall” Jackson. 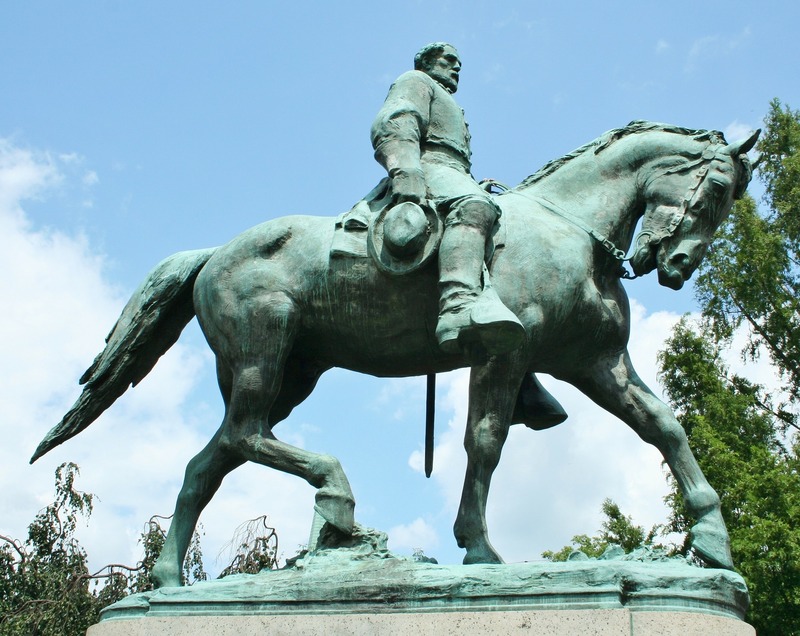 General Jackson, who helped lead the Confederacy during the War Between the States, had faith in Almighty God and was considered by many to be fearless. He earned the nickname “Stonewall” on the battlefield because he was unmoved, even by enemy fire. Jackson was well known for his faith by his words and through his actions. After the First Battle of Bull Run, Jackson said the following to Captain John D. Imboden, “My religious beliefs teach me to feel as safe in battle as in bed. God has fixed the time of my death. I do not concern myself with that, but to be always ready whenever it may overtake me. That is the way all men should live, and all men would be equally brave“. Jackson also said “Never take counsel of your fears“. Robert E. Lee was general-in-chief for the Confederacy during the War Between the States. General Lee was committed to his relationship with Jesus. He said, “My chief concern is to try to be a humble, earnest Christian.” And while Lee understood that there was a reason for war, he also understood the ugly side of war that so many of us don’t see. He said, “What a cruel thing war is… to fill our hearts with hatred instead of love for our neighbors” and “It is well that war is so terrible, otherwise we should grow too fond of it“.